MCSI is offering another Guadalupe Island research expedition in 2019! 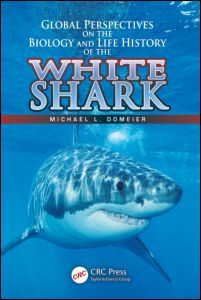 Experience great white shark cage diving with the pioneer of Guadalupe Island white shark research! 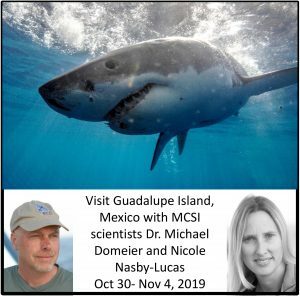 Michael Domeier and Nicole Nasby-Lucas have been studying the white sharks of Guadalupe Island since 1999 using satellite tagging and photo-identification! This amazing cage diving experience is October 30 – November 4, 2019 aboard the Nautilus Explorer. This ship is 132 feet long, has bathrooms with showers in all staterooms, internet via wifi, and a hot tub on the upper deck! The cost of this trip is tax deductible, and is per person based on double occupancy starting at $4,800. 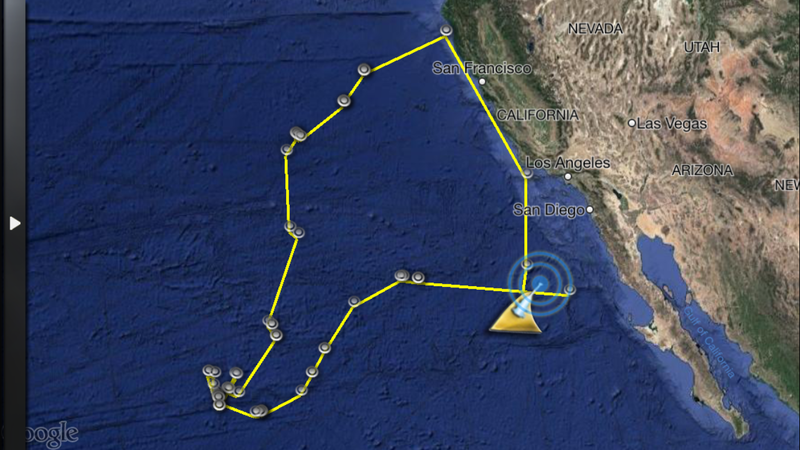 MCSI has now updated the Expedition White Shark app and it is available for both Android and Apple! 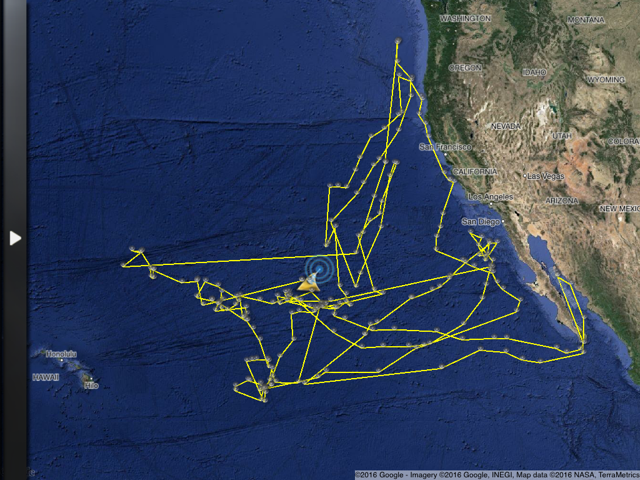 This app shows tracks for all of our tagged sharks and provides real time tracking data for white sharks tagged at both Guadalupe Island and central California, as well as large shortfin mako sharks tagged in southern California. 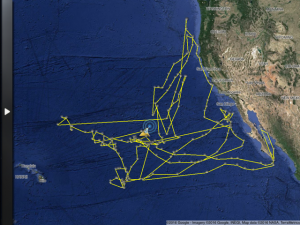 Joshua, a 15 foot male Guadalupe Island white shark was SPOT tagged in December of 2016. Since then he has made a surprising trek offshore and then up along the coast of northern California and then traveling back down south! 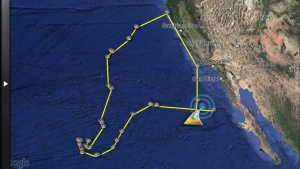 You can follow his amazing journey with the app Expedition White Shark! The app is currently available for Apple products. 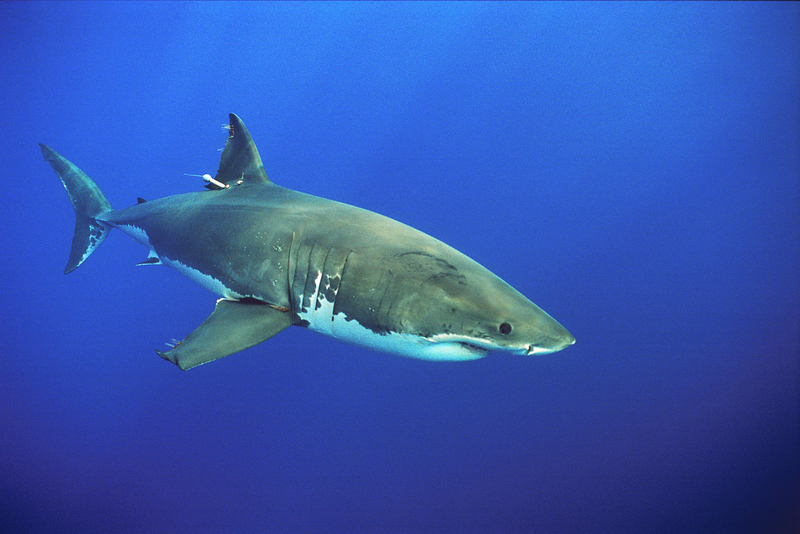 Guadalupe Island female white shark Gill Rakers was SPOT tagged in December of 2012. Since then she has made an amazing journey up along the coasts of California and Oregon, back offshore and then into the Sea of Cortez during the known pupping season where it is presumed she went to give birth! 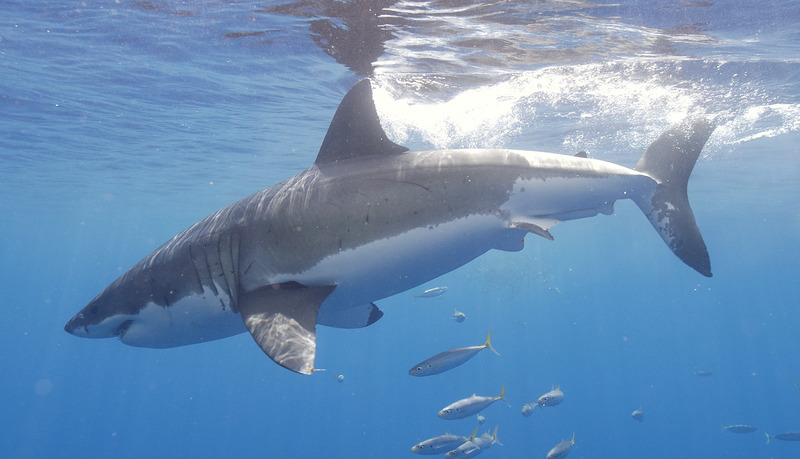 Scientists at MCSI have been working to improve methods for SPOT tagging adult great white sharks. 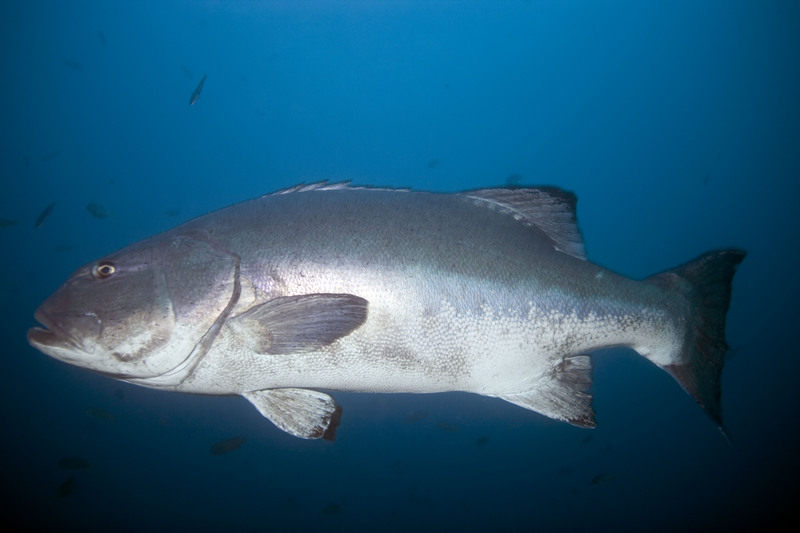 New methods developed, tested and implemented by MCSI involve a device to prevent gut hooking, soft fishing gear to prevent skin abrasions and constant forward movement to fully irrigate the gills. 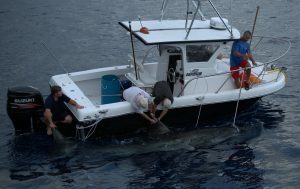 Sharks tagged in this manner, including the largest white shark to ever be SPOT tagged, were far more vigorous upon release than our previous method that lifted the sharks from the water. 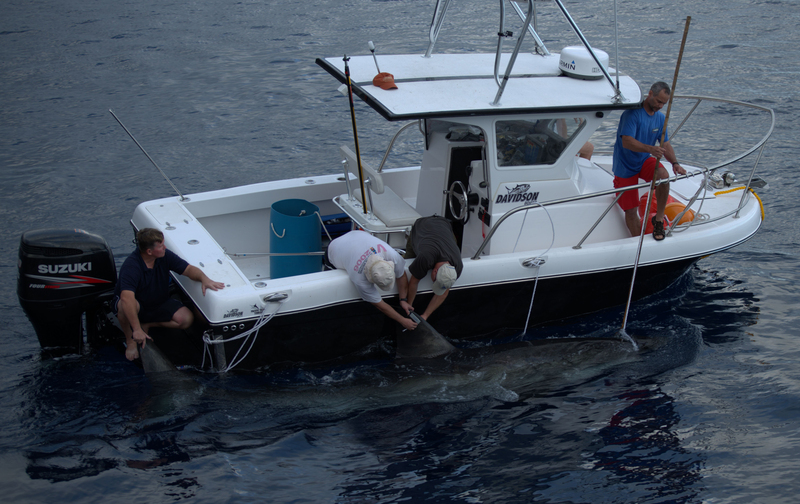 We strive to constantly improve our methods to do what is best for the sharks and the scientific community. 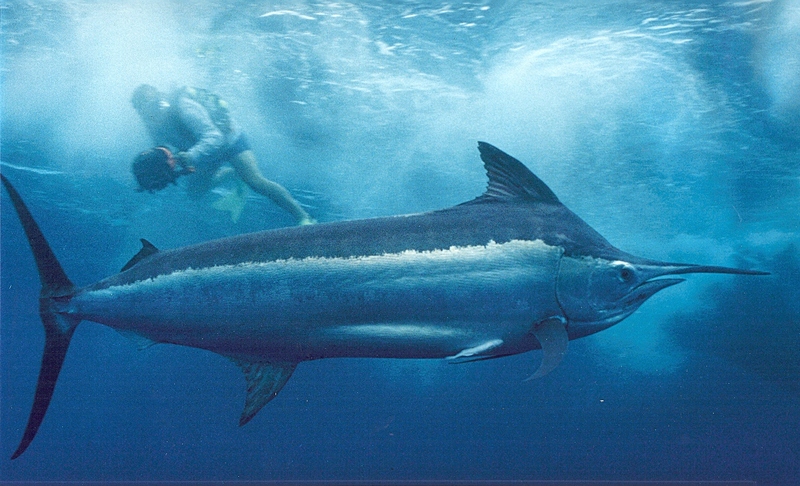 The Marine Conservation Science Institute (MCSI) is a non-profit 501(c)(3) organization. MCSI is founded on the belief that focused research can make a difference in how we view and manage our marine resources. We are committed to working towards the goal of sustainable fisheries and a healthy marine environment for future generations to enjoy.